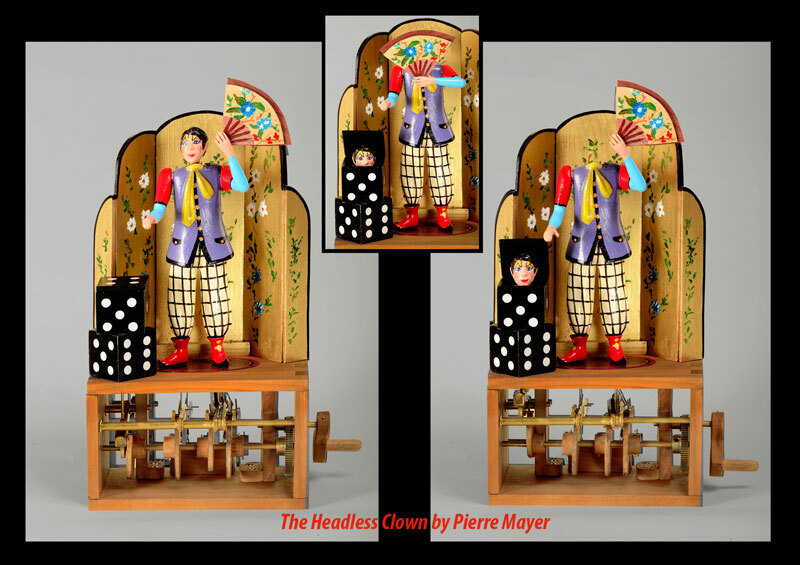 A new edition from French artist Pierre Mayer. 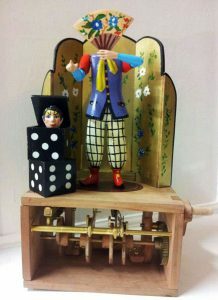 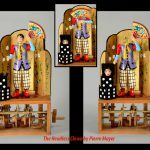 Pierre, a magician and engineer, has been making beautiful limited edition magic themed automata for over 10 years. 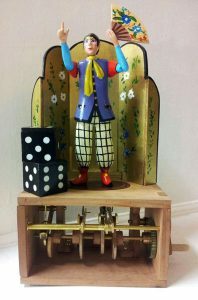 This latest piece is inspired by the original antique automata by Phalibois. 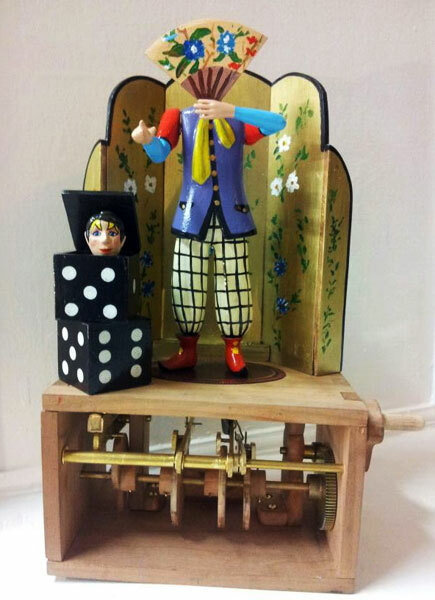 The colourful clown amuses us by relocating his head to his box on the stage.